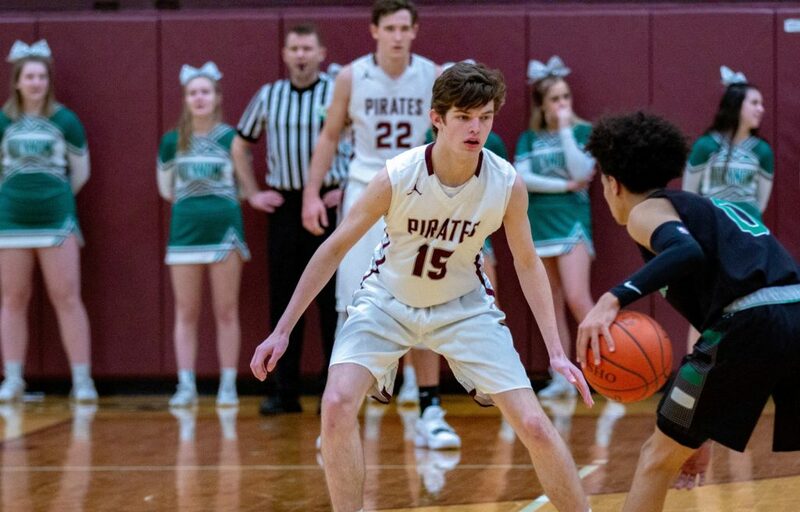 ROCKY RIVER, Ohio — A remarkable lock-down defensive effort and lights-out shooting propelled the Pirates to an all-River rout, as Rocky River defeated Lutheran West, 74-44, on Saturday. A shot-blocking, ball-hawking Pirate defense held the host Longhorns to just two free throws in the opening quarter and nine points over the first half. At the other end of the floor, Rocky River shot a season-best 63.8 percent (30-of-47) from the floor, including a robust 11-of-19 (57.9 percent) mark from three-point-land. John Ruma (two threes) and Luke Coyne (eight points) got River going in a first quarter that saw the Pirates (13-4) outscore the Longhorns, 17-2. Coyne would go on to net 12 in the first half, and when the River City neighbors broke for halftime the Pirates owned a commanding 33-9 lead. “I though we made it difficult for them to run their offense,” said Murray, adding that the River transition game was also a difference-maker. That transition game was set up by Connor O’Toole and Cristain Dean (four steals each for the game) and by the athleticism and quickness of Luke Coyne who finished the contest with three steals and three blocked shots. With white-hot shooting performances, Rocky River would log 19 points in the third quarter and 20 in the fourth while displaying depth from the bench. The likes of Finlay Stamer (5-of-6 shooting, 10 points, seven rebounds, four assists), Tommy Bebie (eight points, two assists), and Braedon Spies (two points, two rebounds, assist) gave Murray and the Pirates strong bench production throughout. Tommy Capka and Jack Schill provided solid minutes in the endgame, as River worked itself to a 70-plus point total for a second straight game. The Pirates held Lutheran West to a 26.2-percent (14-of-38) mark from the floor, and River out-rebounded the Longhorns by a hefty 41-15 margin. Individually, Rocky River was buoyed by the performances of two seniors: Coyne (7-of-10, 14 points, 13 rebounds) and John Ruma (20 points on the strength of six triples). 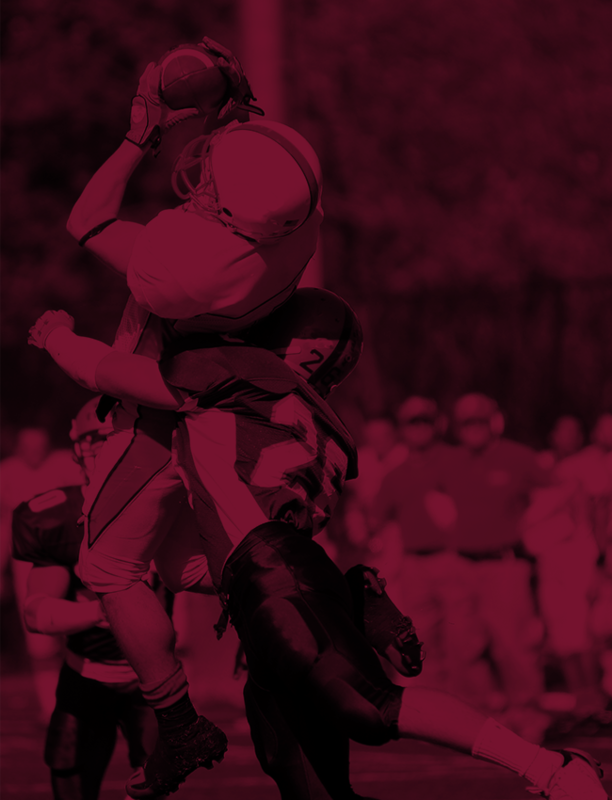 But the stat sheet was rife with big contributions up and down the roster. Connor O’Toole logged six boards and four assists to go with his four thefts. Tommy Ruma scored eight points while dishing out four assists. Cristain Dean hauled down seven rebounds and registered six assists. As a team, the Pirates recorded their second consecutive and fourth overall 20-assist game. The Maroon & White dished out 22 assists on Saturday. 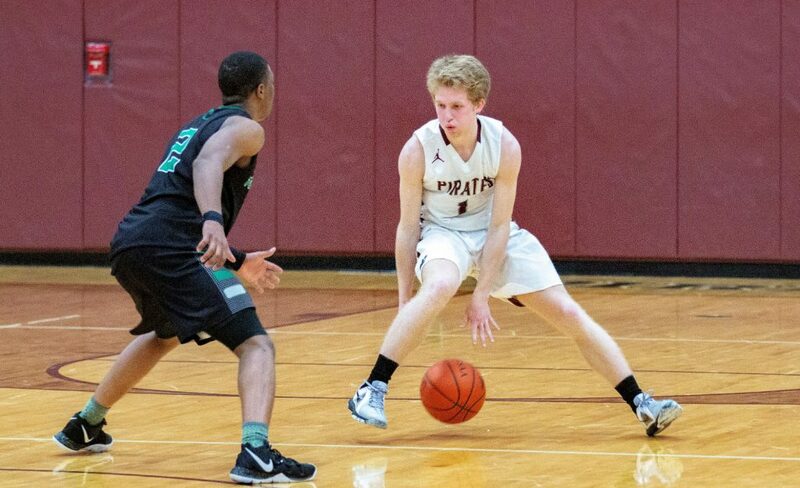 And then there is this trend, and its perhaps most emblematic of Rocky River’s team play and work ethic: in nine straight victories dating back to Dec. 21, the Pirates have allowed 55 points or less. 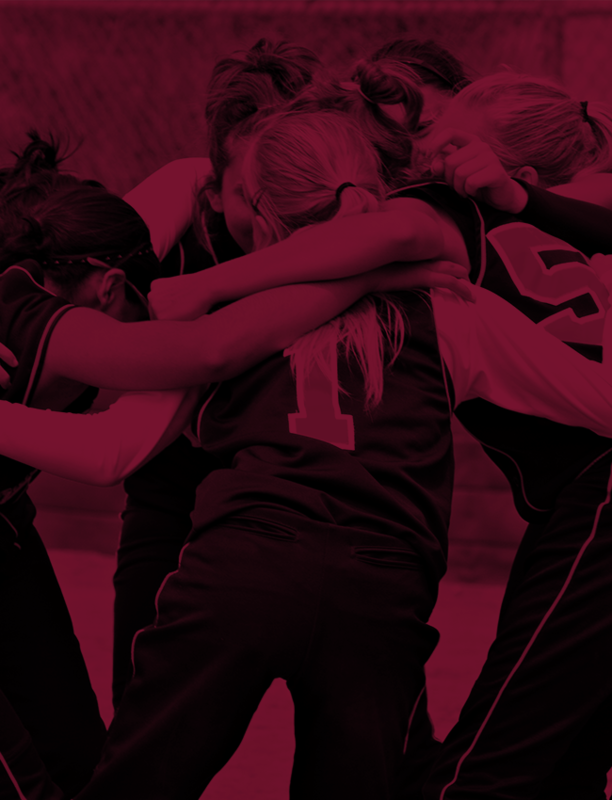 Passing and defense go a long way toward winning basketball games.